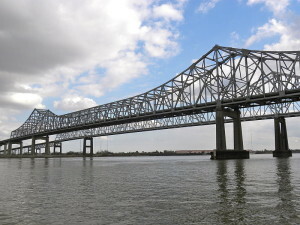 Moving companies in Louisiana have some of the most experienced moving experts in the country. If you need help staying organized and planning your move an agent can help you through the steps on how to get your move done the right way. There are a lot of horror stories about the difficulties with moving, but this can easily be avoided by working alongside a reputable moving professional. When you are working with a legitimate moving professional, you can rest assured knowing that they are being completely fair and honest with their price. A total cost is determined by many factors, but you can reduce the costs of moving greatly by doing key things. Always be sure to inform the moving company about your expectations. Make sure to bring all of your belongings down to the lower level of your home. keep your boxes in the biggest room of your home and separate the fragile items. If movers have to work around obstacles such as stairs, the total cost could go up. Another thing to keep in mind is the distance the moving team will need to walk between your house and the moving truck. If you items are very far away, you could be subject to paying long-carry fees. Before you start packing for your move, make sure to go through old items and get rid of anything you no longer want. Most moving companies charge based off of weight so the less you have in your cargo, the less you’ll have to pay. Moving long distances requires a little more planning than other types of moves. If you plan on moving far away from New Orleans, make sure that you start making preparations at least three months in advance. You will also want to plan out an efficient route and give your travel plans to the mover. If you plan on traveling with children, try to make the drive interesting by taking plenty of breaks and visiting interesting attractions.